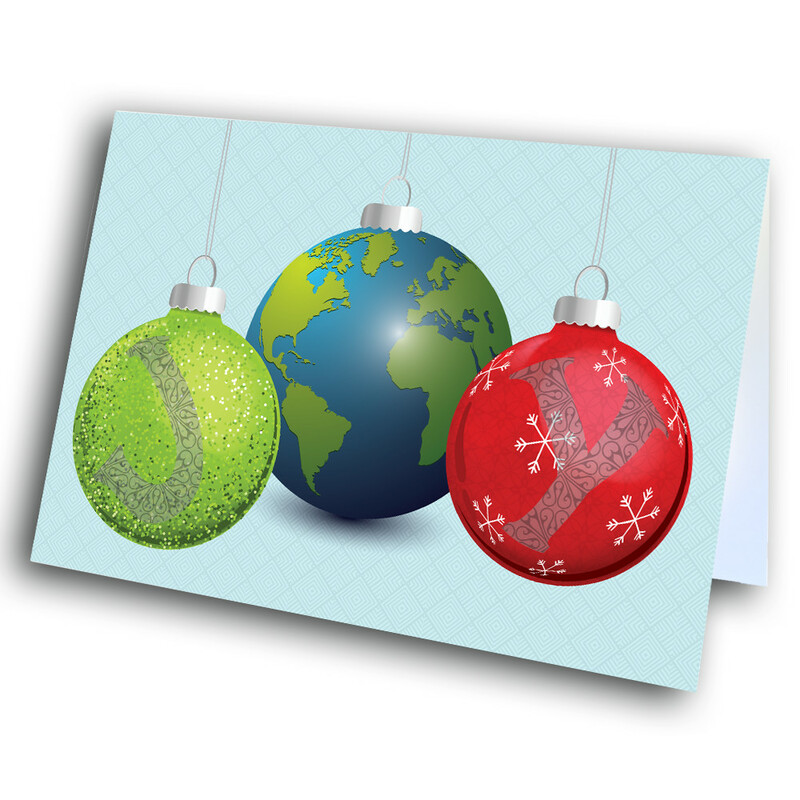 Send some joy to the world, with this beautiful holiday greeting card. 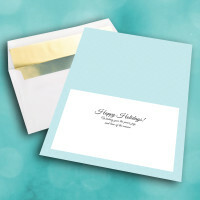 This unique holiday card is simple but elegant, making it perfect for even business or corporate occasions. 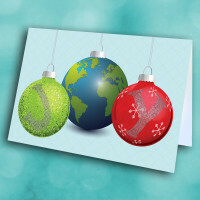 The front is adorned by three intricate ornaments, spelling out the message of joy. 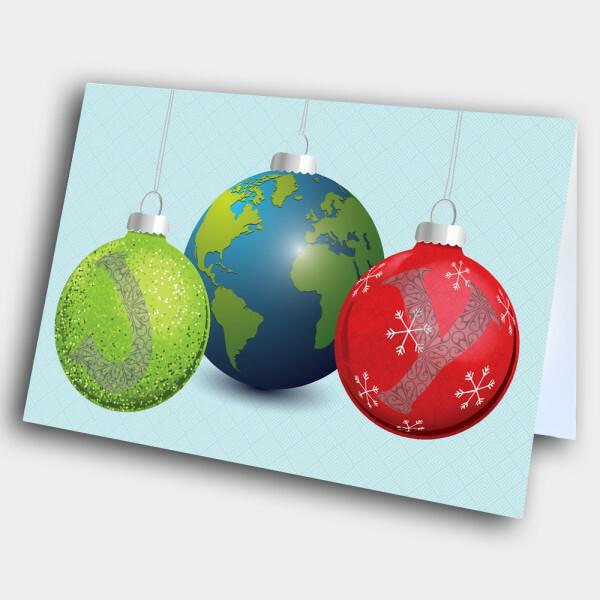 The center ornament is a detailed earth. 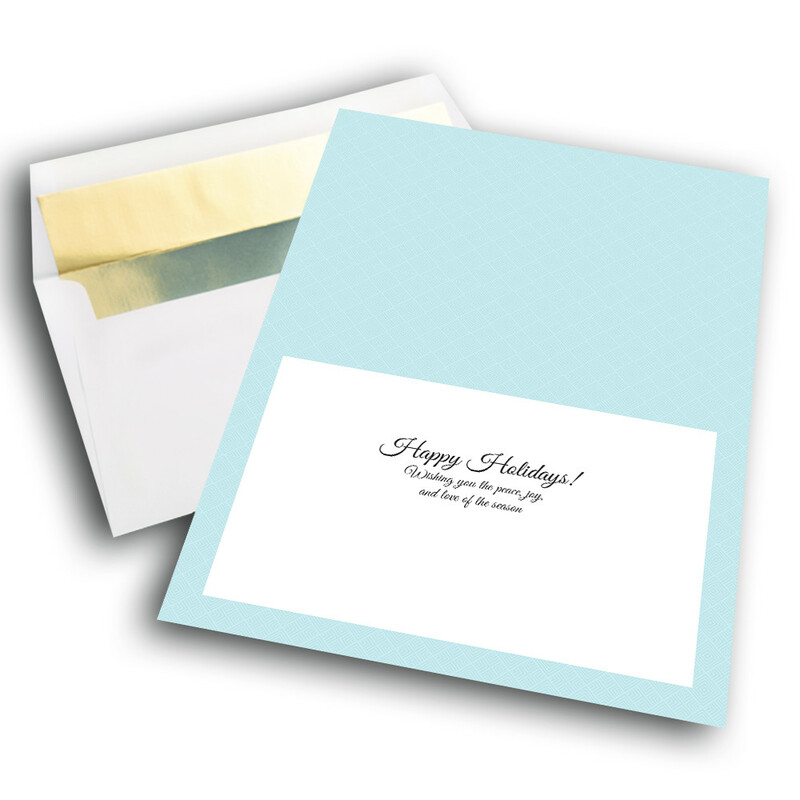 The icy-blue background continues into the interior, where the classic message is displayed. 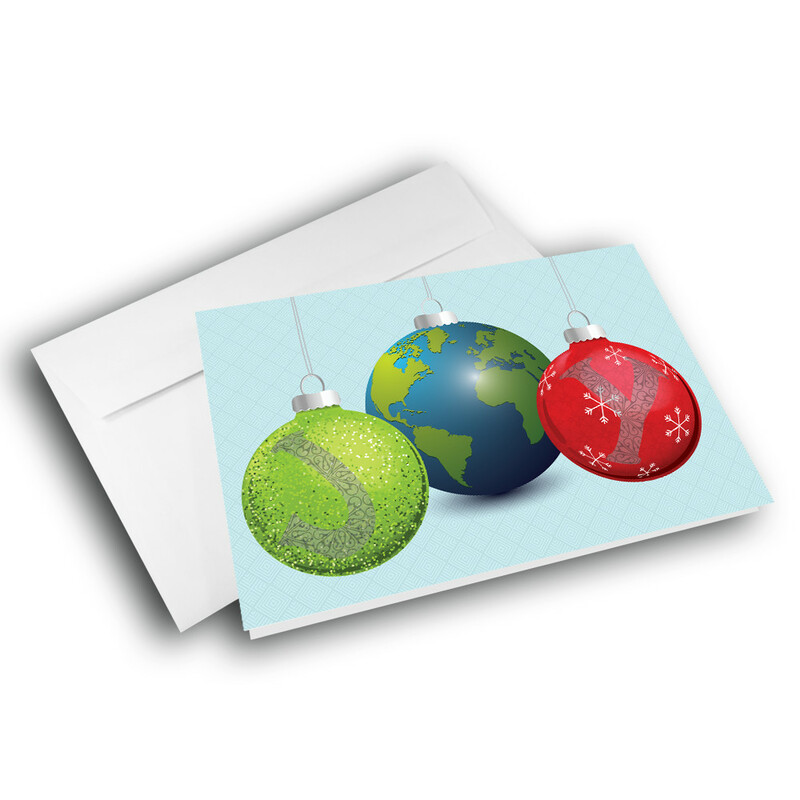 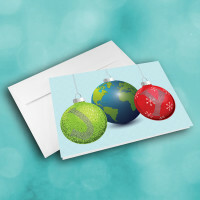 Make this a personalized holiday card by adding you own custom message.